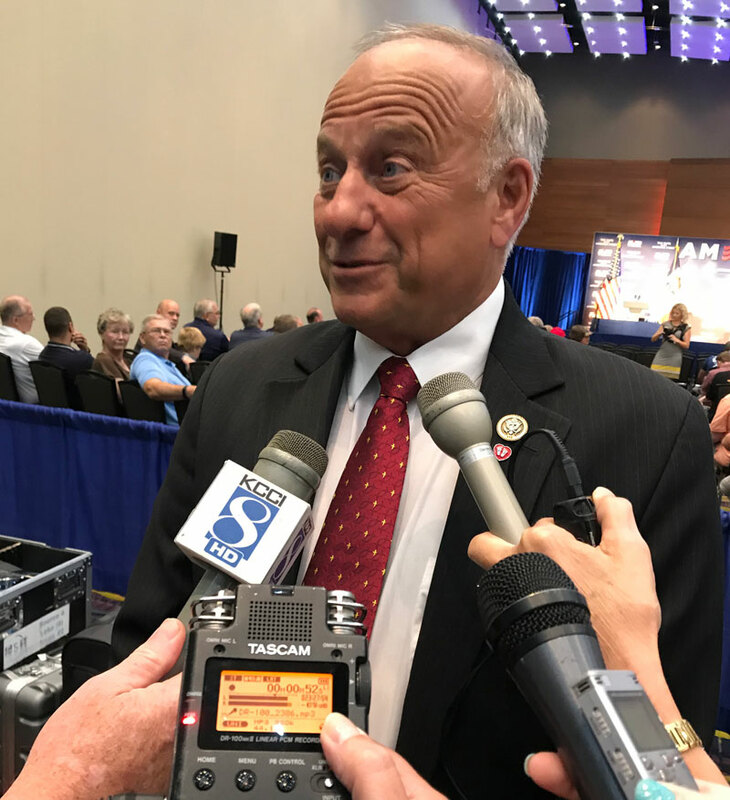 Republican Congressman Steve King today said the best thing the Trump Administration could do to alleviate farmers’ angst about the trade war would be to allow higher percentages of ethanol to be blended into gasoline year-round. King met privately Monday evening with EPA acting Administrator Andrew Wheeler. King said Wheeler is trying to strike a deal that will placate the ethanol and oil industries. King is among those attending an event featuring Vice President Mike Pence this afternoon in Des Moines. King said the 2017 tax bill was an early Christmas present that is still giving and has created confidence and optimism in the business community. King spoke with reporters before the event started. King said he’s warned the Trump Administration things “will get pretty tense” in Iowa if there’s no progress on trade deals by the time soybeans are maturing in September.